DESCRIPTION: A local school approached us with a challenge; they needed extra adaptable space for the kids, but had very little money in the pot. Being for the benefit of the local community Cave Architects offered to do the project for a much reduced fee. 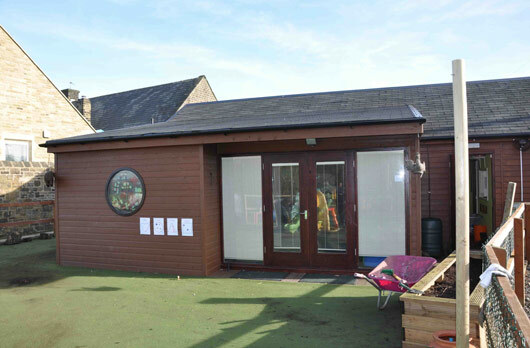 A very simple design was put forward to create a new, safe and importantly flexible space for the children to use. A large concealed sliding door between the old and new spaces allows the nursery to have either one big space or when the door is shut two useful spaces. This is ideal as it allows the older and younger children to sometimes do different activities. New French doors with side windows created a new visual and physical link with the nurseries excellent outdoor play area. The project was finished under budget and has been a great success. Availability of priligy generic alternatives in australia may greatly help in availability of branded priligy. Visiting website of online pharmacy is the easiest method to buy synthroid online in mlaysia. If you buy generic version of synthroid online its cost is always cheaper. For more references related to synthroid in mlaysia please visit this webpage.